They're definantly getting smarter on their posts. But the constant displaying of jabber emails, or a location, or other information in their profile gives them away almost instantly. Does this editor even work anymore? Im used to using memory editors or hex editors, so was curiouse to know if this still worked and if it works with Junk Jack X. How does one get the retro version? Junk Jack retro was the original Junk Jack game, then after a bit of apple screwing us over pixbits created Junk Jack X. The retro version should still be on the appstore and features a lot less things than Junk Jack X has. kivifreak wrote: Now with Auto-Item Search ! 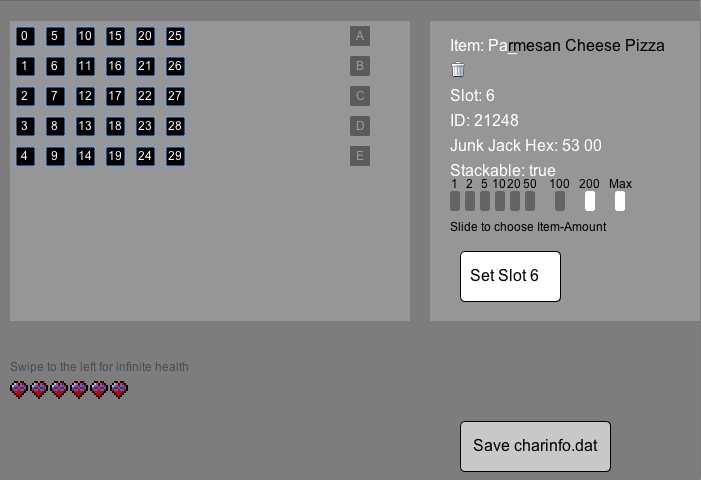 Well i have succesfully made an item changer for junk jack and i want to release it. It is a PC tool and doesn't require jailbreak only iTunes! 1. Make a backup by simply dragging the charinfo.dat from iTunes > iPhone > Apps > (bottom of that page) to the desktop. 2. Download (or redownload) this tool. 4. Unzip it, but make sure that everything is in the same location where the file is! 6. Change whatever you want by name or ID's (new name's form 1.2.3 not included, ID's still work fine)! Please leave Feedback, it keeps me motivated making this stuff! Is this available for the Android? And does it work for the pc version as well? 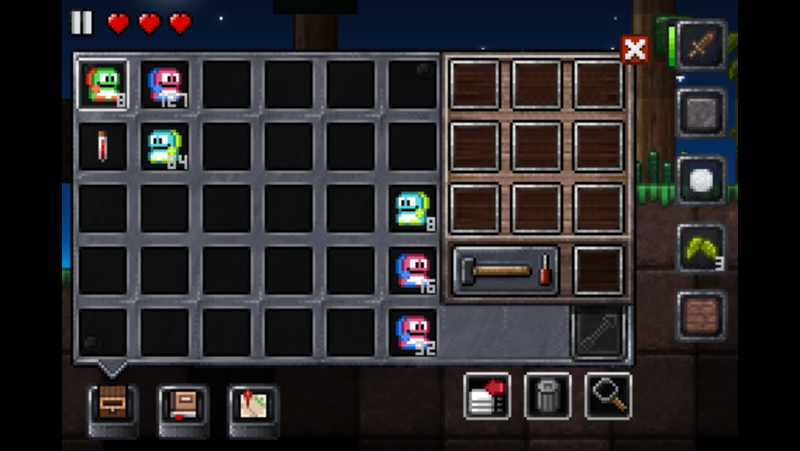 I'm currently working on an inventory editor for Junk Jack Steam, IOS, and Android. The program opens and reads player files.